Seat race = Multiple races in team boats which different combinations of rowers are used. Every race is observed and analyzed to see which rower(s) is best for the team. The best rowers will win their "seat" in the boat hence the name. Matrix = Certain type of seat race. All the times and results from every race are carfefully summarized so different rankings are formed: Best Individual Performance and Best Combination Performance etc. We were 6 guys selected for the "Matrix" in Lilla Edet. The swedish team captain wanted us to row in every combination in the double (2x) which equaled 5 races. He also wanted us to do a second Matrix where we switched places from stroke to bow = 10 races. The different combinations would also race each other which meant that three boats would race each other every time. The races where 1km long with a running start and stroke rate was limited to 28 spm. For me it felt a bit weird racing in such a low stroke rate (especially when approaching the finish line where you usually pick up the pace really high) but we all honored the rules and kept the stroke rate. I was very uncertain if it was wise to head up to the Matrix. I had just started taking Antibiotics after beeing sick the last couple of weeks. Even if the pain in my throat was better, I was still weak. Finally I decided to give it a go anyway. 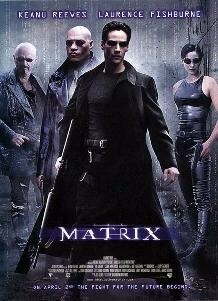 I couldn´t help reference to the 1999 movie classic "The Matrix" and their strive to finding "the one". Everyone in the group wanting to be Keanu Reeves =). Once I was on the water, I didn´t care that I wasn´t in top shape, I wanted to win, and I wanted to win every race. After 10 races, I had won six (or seven, one race was too close to call), three (or two) 2nd places and one 3rd place. Even if the final time rankings will take a few days time to calculate, I´m sure I clinched first individual place. After a frustrating last couple of weeks it felt very nice. Coming up next is a 2k race in Lilla Edet May 12th and 13th. Saturday will be in the Mens single, where I among others will race the Nordic Champion, Pontus Gustavsson. On Sunday it will be Team Boats, selected by the Team Captain with the results from the Matrix. Note: A pretty funny dialogue as I rowed with young talented rower, Christoffer "Koffe" Kirk. We had both mentioned that the seats of the double that we used were pretty uncomfortable (we used my clubs Empacher 2x). Koffe: "I´m glad we don´t have to do a long session with these seats"
Me: "Agreed. However, when I was a junior our asses had to endure an entire season in this boat"
Koffe: "Oh (surprised).... Is the boat really THAT old?" * Koffe and I won both our races together.